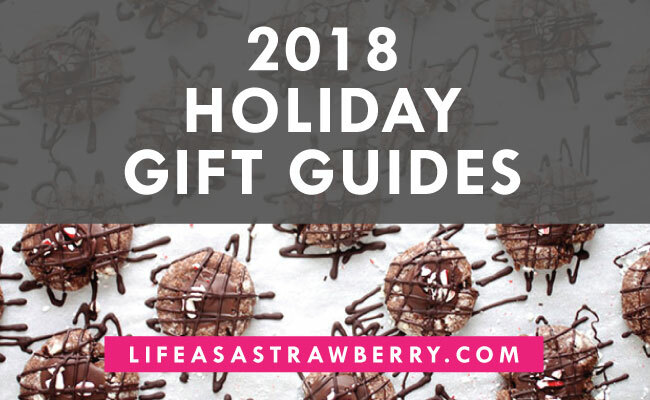 OUR 2018 GIFT GUIDES ARE HEEEEEEEEERE! This is one of my VERY FAVORITE posts of the year (I’m SURE you’ve already noticed the somewhat excessive totally appropriate use of my ALL CAPS VOICE). And yes, ok – these guides are a bit about shopping. But mostly? Mostly these gift guides are about celebrating the people you love. Because the holidays FOR SURE DO NOT have to be about spending money, racking up debt, or buying a bunch of junk that none of us really need. That’s why my team and I only choose gift guide products that we deem exceptionally useful, that make the world better, and that won’t create unnecessary clutter. You’ll see we like to repeat our favorite products in a few different gift guide categories (looking at you, Stasher Bag!) and this year, we’ve also included some DIY options for when you want that special homemade touch (or when, y’know, you’re super-duper broke. #BeenThere). Alright. I’ve talked (written?) at you long enough. LET’S GET GIFTING! PS – Know exactly what you’re looking for? Click a link below to jump right to that section! 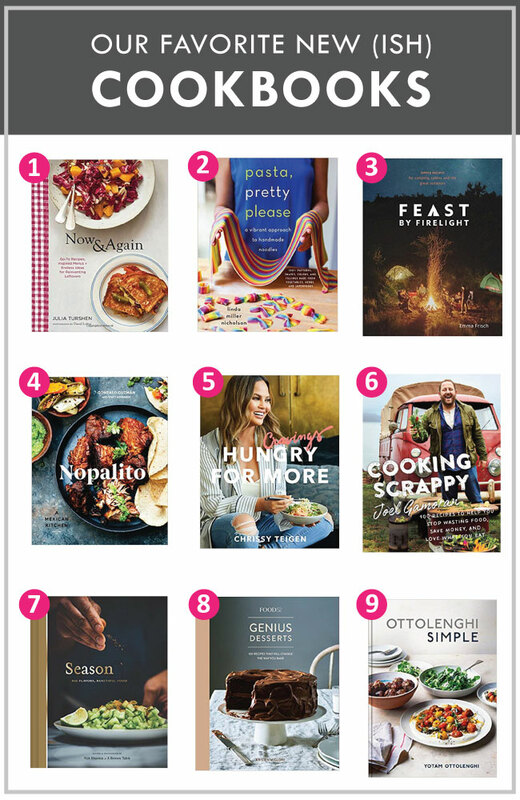 A note: We love cookbooks (SO MUCH) and Amazon is super convenient (Prime Shipping! 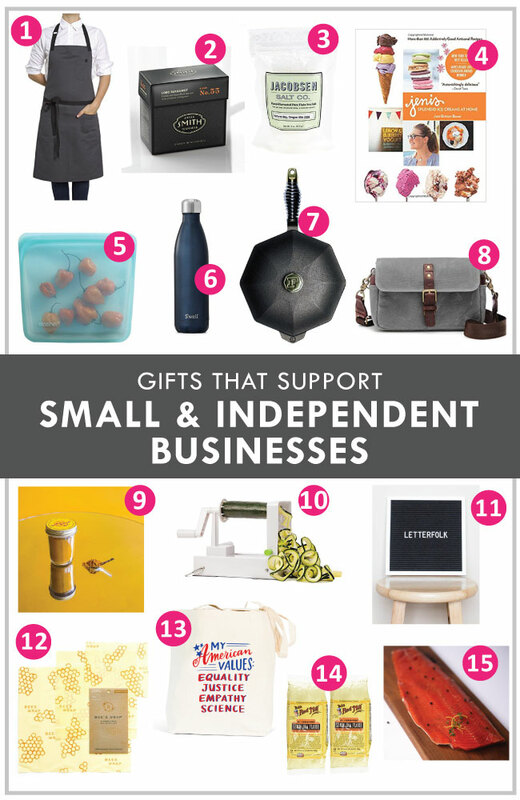 hellooooo) but we also love supporting small and independent bookstores in our communities. The links below go to Amazon pages, but you can also find many of these titles from indie sellers! I grew up with and love Powell’s in Portland, OR (order online here!) and you can click here to find indie bookstores in your area. 2. Pasta, Pretty Please by Linda Miller Nicholson // You might recognize Linda as the pasta superstar behind @saltyseattle, and her book does NOT disappoint. Learn to make beautiful pasta in her signature plant-dyed rainbow of colors, and find step-by-step instructions to master some essential pasta dishes. This book will open your eyes to a host of new (YUP I’m gonna do it) PASTA-bilities. 3. Feast by Firelight by Emma Frisch // This book is STUNNING, but it’s also incredibly useful. The perfect cookbook for campers, adventurers, and anyone who loves the outdoors. Easily one of my favorite books of the year. (PS – you might recognize Emma as a Food Network Star Finalist or from At The Table Episode 13!) FYI: I got my copy of this book for free, but I’m buying more as gifts! 4. Nopalito: A Mexican Kitchen by Gonzalo Guzman with Stacy Adimando // This book is a wonderful foray into regional Mexican cooking from the team at San Francisco restaurant Nopalito. It does a great job of breaking down traditional dishes and flavors and offers plenty of step-by-step photos. Also one of the more jaw-droppingly beautiful cookbooks I’ve seen lately. 5. Cravings: Hungry For More by Chrissy Tiegen // I’m not usually all-in on celebrity cookbooks, but I’ll always save a spot on my bookshelf for Chrissy. Her newest book delivers bold-but-accessible recipes, plenty of Thai-inspired dishes, and stories that feel like talking to an old and very sarcastic friend. 6. Cooking Scrappy by Joel Gamoran // I’ve been a fan of Joel’s show Cook Scraps since it started, and this book is the perfect extension of his show. A great addition to any kitchen – especially if you want to waste less food. Inventive, delicious recipes that use food scraps we might ordinarily throw away. 7. Season by Nik Sharma // A beautiful debut cookbook from Nik of A Brown Table. His photography is in a league of its own, and his approachable recipes fuse the familiar with the unexpected in a story-driven cookbook that’s big on flavor. 8. Genius Desserts by Kristen Miglore and Food52 // This book is still on my wish list, but I can’t WAIT to page through it and bake, well…everything. Food52’s books are consistently among my most-used. 9. Ottolenghi Simple by Yotam Ottolenghi // Another wish list book for me, but one that I know will be a keeper. I love everything I’ve read from him, and his simple recipes pack big flavors. This is Yotam’s newest book (you may recognize his former titles, which include Jerusalem, Plenty, and Sweet – all of which I ALSO absolutely recommend). 1. How to Cook Everything by Mark Bittman // This book isn’t photo-driven, but MAN is it handy. Easily the most-used cookbook in our house (it’s the ONLY cookbook my husband cooks from) – and it does, in fact, teach you how to cook just about everything. 2. Salt Fat Acid Heat by Samin Nosrat // I don’t think it’s overdramatic to call this book a triumph. Painstakingly detailed (but easy to read and understand!) with beautiful illustrations and plenty of recipes that focus on the WHY and HOW of cooking. (PS – Read this book, and then watch the show on Netflix! The show, like the book, is incredible). 3. The Flavor Bible by Karen Page and Andrew Dornenburg // A comprehensive guide to everything you could ever want to know about flavor: basically, it’s a how-to manual to make anything taste amazing. 4. Flour Water Salt Yeast by Ken Forkish // This book is on my gift guide AGAIN this year, because it’s just that good. If you like baking or want to level up your bread/pizza dough game, this is required reading. Beautiful photos and in-depth technique training for the home baker. 5. The Cake Bible by Rose Levy Beranbaum // Anytime someone wants to bake better cakes, I send them this book. Not photo-heavy, but incredibly detailed with plenty of notes about the why of a recipe in addition to the recipes themselves. A must-have for any baker. 7. Genius Recipes by Kristen Miglore and Amanda Hesser of Food52 // After two years in a row on our gift guide, we’re moving this cookbook to “classic” territory. The recipes are, in fact, genius – and the beautiful photos make it a great coffee table book when you’re not cooking from it. 9. The Food Lab by J. Kenji López-Alt // This isn’t just a cookbook: it’s THE cookbook. Kenji focuses on the science – and the why – of our favorite classic recipes. An incredibly thoughtful and detailed cookbook that will quickly become your go-to reference in the kitchen. It’s also won basically every cookbook award there is – with good reason. 1. Reusable Produce Bags // Ditch the plastic produce bags at the grocery store! Use these reusable, washer/dryer safe produce bags instead. They hold up great and include the tare weights on the tags. 2. Linen Napkins // Replace paper napkins with reusable cloth napkins! I love linen, because if they get wrinkly, it still looks very natural. Just toss them in the laundry and wash. The linen napkins pictured are great, though my other personal favorites are these linen napkins from Crate & Barrel. 3. Reusable Metal Straws with Carrying Cases // I love these straws – they come with a super-trendy wood carrying case and a cleaning brush (and they’re surprisingly easy to clean). I’ve been using mine for over a year and still love them. Leave one at home for smoothies and keep one in your purse or car for restaurants and coffee dates. 4. Stasher Bag // A dishwasher-safe, microwave-safe, sous-vide-safe alternative to plastic zip-top bags. Airtight, freezer-safe, easy to store. These might be my favorite of all our gift guide products – I buy them for EVERYBODY and they’re a great way to reduce plastic use. Order on Amazon or directly from their website. 5. 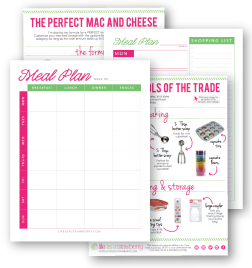 Silpat Baking Mat // This reusable baking sheet liner is a great alternative to tinfoil and parchment paper. Relatively cheap, easy to clean, nonstick, last FOREVER (mine is nearly a decade old!) In a variety of sizes. 6. Bee’s Wrap // A sustainable alternative to plastic wrap or saran wrap in your kitchen – use your hands to warm the beeswax-coated sheets and they’ll stick to just about anything! Easy to clean and use – mine are just over a year old and still going strong. Handmade in Vermont. Order on Amazon or directly from their website. 9. Misto Olive Oil Sprayer // A DIY cooking spray canister! Fill it with olive oil, pump the pressure pump, and mist away. A wonderful, environmentally-friendly alternative to canned cooking spray. 10. Reusable Spray Bottles // I haven’t gotten a chance to test these specific bottles yet, but I’m ordering some for our homemade cleaning spray! We switched to a vinegar solution a few years ago and I’m excited to have a glass spray bottle for easier, more stylish cleaning. 12. American Values Tote Bag by Emily McDowell // Reusable tote bags are a great way to replace plastic bags at the store, and I LOVE this line from illustrator Emily McDowell (you might recognize her as the creator of Empathy Cards!) While you’re grabbing a tote bag, you should prooooobably also stock up on her mugs, post it notes, cards, and magnets. 1. Hedley & Bennett Apron // Hedley & Bennett makes the BEST aprons. I’ve had mine for a year and it still looks almost new (even after daily wear plus hundreds of photo shoots, recipe tests, spills, and washes). They have a ton of styles and everything is made in their LA production space. Order on Amazon or directly from their website. 2. Smith Teamaker Lord Bergamot // This artisan tea is really something special. Founded in Portland by Steven Smith (who also co-founded Stash and made tea for Tazo!) Smith teamakers put so much thought and care into these teas. The sachets, string, and tags are all biodegradable. A higher price point than the cheaper stuff we’re used to, but well worth the splurge for a special occasion. Their Lord Bergamot (like an elevated Earl Grey) is one of my favorites – order it on Amazon or directly from their website. 4. Jacobsen Sea Salt // One of my FAVORITE artisan products, this sea salt is harvested in the Pacific Northwest and has the most beautiful texture and clean, pure flavor. Use it as finishing salt (texturally, I find it’s somewhere between classic kosher salt and large-flaked Maldon salt, also on this gift guide) Buy a big pouch or grab their pinch tins for smaller gifts (we give one to all our At The Table guests!) Order on Amazon or directly from their website. 5. Jeni’s Ice Cream // This ice cream is THE BEST, you guys – the Darkest Chocolate mayyyyyyy have changed my life forever. Order pints for delivery anywhere in the U.S. on their website (they ship in a big ol’ freezer box!) or grab her cookbook here and DIY it! Jeni’s is a certified B-Corp.
6. Stasher Bag // A dishwasher-safe, microwave-safe, sous-vide-safe alternative to plastic zip-top bags. Airtight, freezer-safe, easy to store. These might be my favorite of all our gift guide products – I buy them for EVERYBODY and they’re a great way to reduce plastic use. Order on Amazon or directly from their website. 7. Finex Cast Iron Skillet // Another Oregon-based company (and the subject of a past edition of at the table!) Finex makes some of my favorite cast iron skillets. Handcrafted at their Portland factory (see photos here!) this cookware is stunning and useful – and properly cared for, it will last forever. Order on Amazon or directly from their website. 8. Ona Camera Bag // Aside from my actual camera, this is my single favorite piece of photography equipment. I have The Bowery (pictured) and the larger Astoria bag, although they make all different shapes and sizes. These bags are SO well made (and I’ve put mine through the ringer!) Well worth the money. Order on Amazon or directly from their website. 9. Diaspora Co. Turmeric // I can’t wait to try this Turmeric! Diaspora Co. is a queer, woman-of-color owned business producing fresh, sustainable, single-origin turmeric that truly values transparency and their farmers. They even have a turmeric subscription available! Order on Amazon or directly from their website. 10. The Inspiralizer // I’ve jumped full-force on the spiralizer bandwagon (ZOODLES 4 EVER) and my spiralizer has become one of the most-used gadgets in my kitchen. I was worried I wouldn’t actually use it and it would just collect dust, but I use it all the time. I currently have this spiralizer from Paderno, but have also given The Inspiralizer (pictured) as a gift and I think it does a better job of gripping the counter so it doesn’t move. Order on Amazon or directly from their website. 12.Bee’s Wrap // A sustainable alternative to plastic wrap or saran wrap in your kitchen – use your hands to warm the beeswax-coated sheets and they’ll stick to just about anything! Easy to clean and use – mine are just over a year old and still going strong. Handmade in Vermont. Order on Amazon or directly from their website. 13. American Values Tote Bag by Emily McDowell // Reusable tote bags are a great way to replace plastic bags at the store, and I LOVE this line from illustrator Emily McDowell (you might recognize her as the creator of Empathy Cards!) While you’re grabbing a tote bag, you should prooooobably also stock up on her mugs, post it notes, cards, and magnets. 14. Bob’s Red Mill Semolina Flour // I’m such a fan of Bob’s Red Mill, and their semolina is a great place to start exploring their product line! It’s perfect for making fresh pasta. Bob’s is employee-owned and based in Oregon. Order on Amazon or directly from their website. 15. Wild For Salmon wild, sustainable Alaskan salmon // WFS is a dock-to-doorstep delivery service for Wild Alaskan Sockeye Salmon (and other delicious seafood!) Owned and operated by a family of fishermen, you can order wild, sustainable Alaskan Salmon caught aboard the Ava Jane. I personally know and love this team of fishermen – we even served their wild sockeye at our wedding! Order directly from their website. 1.Hedley & Bennett Apron // Hedley & Bennett makes the BEST aprons. I’ve had mine for a year and it still looks almost new (even after daily wear plus hundreds of photo shoots, recipe tests, spills, and washes). They have a ton of styles and everything is made in their LA production space. Order on Amazon or directly from their website. 2. Salt Cellar // Salt is one of the most important elements in cooking, which means it needs to be easily accessible. This swing-top salt cellar is my favorite thing. Easy to grab salt, looks beautiful on the counter, has a fun-to-swing-around-and-around lid. 3. Shun Classic 8-inch Chef’s Knife // Everyone needs a good chef’s knife! Shun is one of my favorite brands (I love the shape of their knife handles) and my Shun chef’s knife is still going strong after 6ish years (just keep it sharp!) For how often an avid cook will use it, it’s well worth the price. I love the 8-inch, and you can see some their other knives here. 4. Olive Oil Bottle // One of my most-used kitchen items: perfect to keep olive oil on the counter within easy reach without a big ol’ ugly bottle on the counter! Classy and functional. 5. Immersion Blender // EASILY the most-used gadget in my kitchen. Soups, pestos, sauces, smoothies, pancake batter – you name it, the immersion blender can do it. I even have a handy Immersion Blender 101 post to help you find new hand blender recipes! 6.The Food Lab by J. Kenji López-Alt // This isn’t just a cookbook: it is THE cookbook. Kenji focuses on the science – and the why – of our favorite classic recipes. An incredibly thoughtful and detailed cookbook that will quickly become your go-to reference in the kitchen. 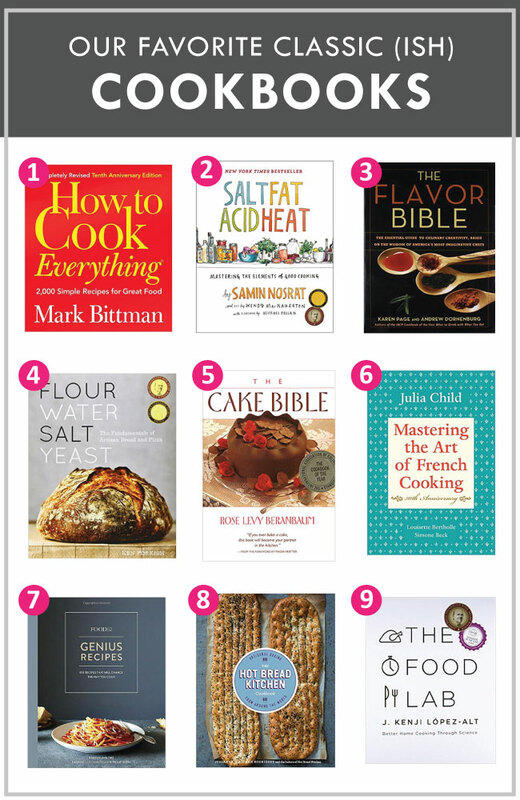 It’s also won basically every cookbook award there is – with good reason. 7. Cuisinart 14-Cup Food Processor // This food processor is just THE BEST – it can power through anything (and it comes with slicing and shredding discs for slicing and shredding things!) I’ve had mine for years and I’m still in love with its power, speed, and general looks-gorgeous-on-the-counter-ness. 8. Microplane // ESSENTIAL. Zest citrus, freshly shave parmesan for your spaghetti, grate some nutmeg, etc. etc. etc. I use this DAILY. 9. The Inspiralizer // I’ve jumped full-force on the spiralizer bandwagon (ZOODLES 4 EVER) and my spiralizer has become one of the most-used gadgets in my kitchen. I was worried I wouldn’t actually use it and it would just sit and collect dust, but I use it all the time. I currently have this spiralizer from Paderno, but have also given The Inspiralizer (pictured) as a gift and I think it does a better job of gripping the counter so it doesn’t move. Order on Amazon or directly from their website. 11. Salt Fat Acid Heat by Samin Nosrat // I don’t think it’s overdramatic to call this book a triumph. Painstakingly detailed (but easy to read and understand!) with beautiful illustrations and plenty of recipes that focus on the WHY and HOW of cooking. (PS – Read this book, and then watch the show on Netflix! The show, like the book, is incredible). 12. Maldon Sea Salt // Big, beautiful salt flakes. I love using Maldon salt to finish dishes or to add a salty bite to sweet things like fudge or chocolate chip cookies. 13. Banneton Proofing Basket // If you’ve tried my easy crusty French bread recipe, you know how much I love my proofing basket! This is a fun and simple way to let dough rise before baking. It leaves beautiful rings on the loaf (SUPER PROFESSIONAL!) and when I’m not using it for baking, I line it with a linen napkin and use it to store fruit or serve rolls and biscuits like a regular basket. 14. The Flavor Bible by Karen Page and Andrew Dornenburg // A comprehensive guide to everything you could ever want to know about flavor: basically, it’s a how-to manual to make anything taste amazing. 1. Comments Have Been Disabled Mug by Emily McDowell // Another Emily McDowell product (do you sense a theme here?) Sometimes, your tea just tastes better when you drink it out of a quippy mug – and I love this “Comments Have Been Disabled” illustration. Check out her full line of mugs here. 2. DIY Coupon Book // When I was in college/in grad school/just getting LAAS off the ground, coupon books were (and still are!) my go-to Christmas gift. It’s easy to DIY and customize, and it doesn’t have to cost anything – but it’s still fun and meaningful. You can find some easy DIY tutorials (with printables!) from Lauren Greutman or Beauty & Bedlam, or write out your own and tie them together. 3. Bob’s Red Mill Semolina Flour // I’m such a fan of Bob’s Red Mill, and their semolina is a great, inexpensive place to start exploring their product line. Perfect for making fresh pasta. Bob’s is employee-owned and based in Oregon. Order on Amazon or directly from their website. 4. Salt Cellar // Salt needs to be easily accessible when you’re cooking, and this swing-top salt cellar is my favorite thing. Easy to get to the salt, looks beautiful on the counter, has a fun-to-swing-around-and-around lid. A high-quality gift (but at a low price point). 5. DIY Christmas Cookies In a Jar (with free printables!) by Sally’s Baking Addiction // How amazing are these DIY Christmas Cookie Kits?? Sally over at Sally’s Baking Addiction is giving you TWO cookies-in-a-jar recipes (for Chocolate Peppermint Cookies and Christmas M&M cookies, OH MY) plus a totally free printable with all the tags and instructions so you can beautify your jars. Grab the full tutorial + printable tags here. 6. Homemade Crusty French Bread // Bring me a loaf of great bread, and I’ll be your friend forever. Make a loaf of my trusty French Bread, let it cool, then wrap it in parchment paper and tie with a ribbon or some kitchen twine for the perfect (and cheap!) gift. Just be sure to gift it within a day of baking so the recipient can enjoy it while it’s fresh! 7. Gnocchi Board // This has been such a fun toy for me over the last few months! It’s just a few dollars, takes up basically no space, and lets you roll shallow grooves into homemade gnocchi or pasta. 8. Handwritten Letter // When was the last time you wrote someone a letter? And not just a generic “hi, happy holidays, thanks for blah blah blah” letter. A REAL, heartfelt letter (or a poem! or a comic book!) where you spill alllllll your feelings and tell people how much you love them. Dress it up with illustrations, stickers, ribbon, or any fun craft supplies you have lying around. 9. Burt’s Bees Lip Balm // Boring? Maybe. But essential! This lip balm is the best lip balm out of all the lip balm – I have one in every room of my house, in most of the drawers in my office, and in every bag I own. 11. Microplane // ESSENTIAL. Zest citrus, freshly shave parmesan for your spaghetti, grate some nutmeg, etc. etc. etc. I use this DAILY. 12. Olive Oil Bottle // One of my most-used kitchen items: perfect to keep olive oil on the counter within easy reach without a big ol’ ugly bottle on the counter! Classy and functional. 13. Stasher Bag // A dishwasher-safe, microwave-safe, sous-vide-safe alternative to plastic zip-top bags. Airtight, freezer-safe, easy to store. 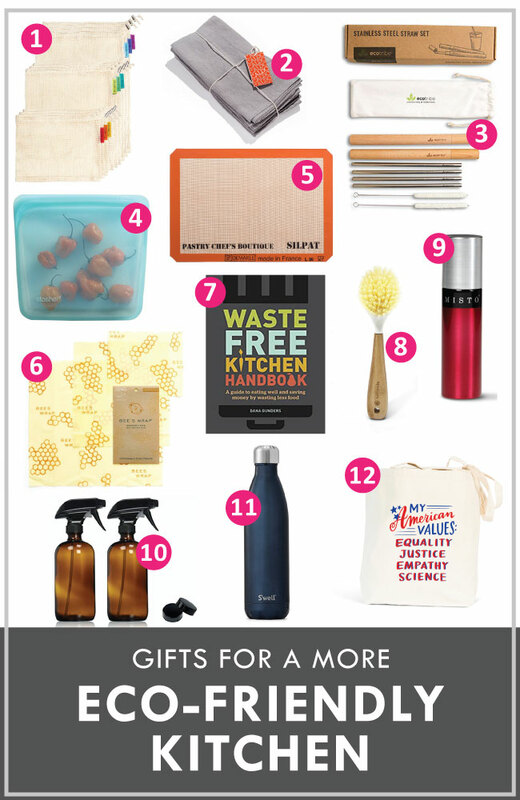 These might be my favorite of all our gift guide products – I buy them for EVERYBODY and they’re a great way to reduce plastic use. Order on Amazon or directly from their website. 15. Calm the F*ck Down Coloring Book by Sasha O’Hara // I buy these coloring books for basically everyone. Beautiful line drawings laced with plenty of swear words? Sign me up. It’s just a few bucks and is one of my favorite ways to de-stress when I need a reminder not to take life too seriously. 16. Maldon Sea Salt Flakes // Big, beautiful salt flakes. I love using Maldon salt to finish dishes or to add a salty bite to sweet things like fudge or chocolate chip cookies. 17. Moleskine Soft Cover Journals // These pocket-sized journals come in a three-pack – give the full pack as a gift, or wrap each individual journal in a bow to make it go a little further. Give the journals blank, or fill them out (just like writing a letter!) You can fill the pages with illustrations, reasons you love someone, short letters or poems – you name it. 18. Black Tellicherry Peppercorns // My favorite everyday black peppercorns! Use these in a pepper mill for fresh ground black pepper anytime you need it. The bag is huge and lasts for months. You can also divvy up the peppercorns between a few small mason jars and add a ribbon and tags to stretch them into a few separate gifts. I know I’ve talked a big shopping game today, but I’d also like to take a moment to remember that during the holiday season, we (myself included) often and easily lose sight of the fact that we all already have SO MUCH. It’s easy to hone in on gadgets and appliances and other stuff-that-takes-up-space when we shop, but there are also options for gifts that are useful, unique, and meaningful. These are some of my favorite gift ideas for anyone looking to think outside the box and make your gift a little more meaningful. EDIBLE GIFTS THAT BUILD A BETTER FOOD SYSTEM. ICE CREAM. Order the BEST ice cream online from Jeni’s Ice Cream! Ships in a freezer box. Jeni’s uses no synthetic flavors or dyes, buys ingredients directly from a community of partner-producers, and is a Certified B Corporation. GRASS-FED BEEF. Plus free-range organic chicken and heritage breed pork delivered to your door from ButcherBox. SUSTAINABLE MAINE LOBSTER. Delivered to your doorstep by Get Maine Lobster. Read about their sustainability practices here. FRESH BREAD & BREAD BAKING KITS. Order a loaf (or four!) of bread from New York’s Hot Bread Kitchen, a social enterprise that trains immigrant women to succeed in culinary jobs and provides business incubation programs to build a more equitable, diverse food industry. 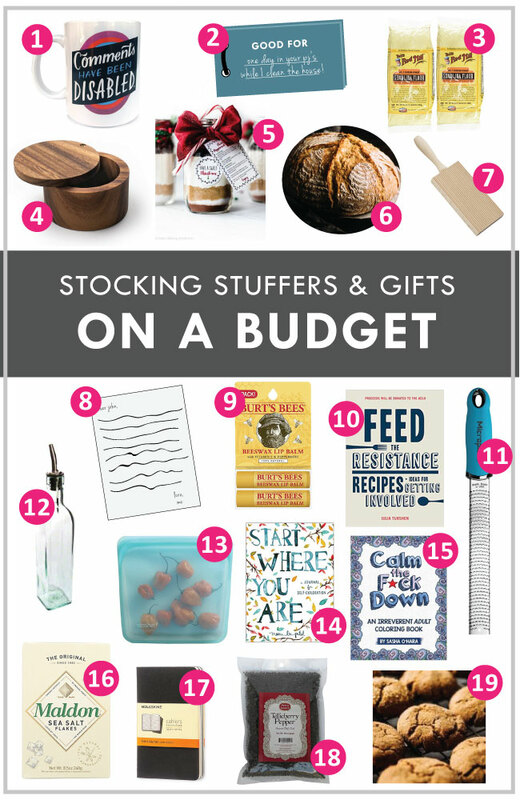 Their cookbook is in our gift guide this year, and we also can’t wait to try their mail-order gifts! KIVA MICROLOAN GIFT CARDS. When you buy a Kiva gift card, the recipient can lend its balance to one of thousands of global entrepreneurs. When the initial loan is repaid, you get the money back, and can invest it back into a whole new business! Kiva has a 98% repayment rate and has helped over 1.8 million borrowers worldwide start and sustain their own businesses. Lend as little as $25 to make a huge difference. Buy one gift card for each family member and spend an afternoon together choosing some incredible global entrepreneurs to support! You can also support the organization by shopping gifts made by Kiva artisans. DONATE AN ANIMAL. Heifer International works to end hunger and poverty worldwide, and their unique giving program lets you choose an actual animal (Goats! Water Buffalo! Alpacas!) to send to a community in need for eggs, milk, wool, and more. Families who receive donated animals in Heifer’s areas of work pay the investment forward by becoming community donors themselves. You can browse Heifer’s gift catalog to find a meaningful gift in one of their many areas of work, including animal donation, sustainable farming, and clean water support. You can also donate an animal to a rural community through Oxfam, which has a similar gift program! ADOPT AN ANIMAL THROUGH WORLD WILDLIFE FUND. When you buy a gift through World Wildlife Fund, your purchase supports WWF’s global conservation efforts. Choose an animal (or several) to adopt and receive an adoption kit with a certificate and a corresponding stuffed animal, or choose from a variety of animal-themed gifts (coloring books, mugs, bags, and much more!) whose proceeds support their work. They also have socks this year! 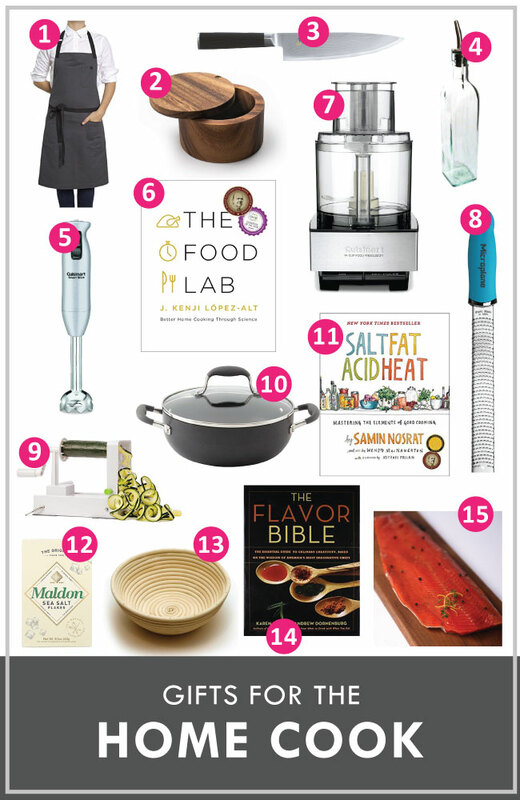 Looking for some kitchen-themed gifts that give back? Epicurious has a great list here. You are THE ACTUAL BEST, and I am so grateful to you for reading Life As A Strawberry – whether it’s your first time here or you’ve been following from the beginning. This post contains affiliate links, which means if you purchase something on this list I may earn a small commission at no extra cost to you.